This private multi-award winning accommodation is a architectural masterpiece, masterfully designed to reveal 180 degree views of the east coast of Tasmania. This view follows you through basically every room in the house. It’s the extra touches that make this property outstanding – from the heated floors to the luxury furnishings to the handcrafted Jimmy Possum dining table. This property is one of a kind. Beyond indulgent, this flawless property sits atop of the cliffs of Falmouth, with floor to ceiling windows and a heated plunge pool facing the ocean to best take in the view. 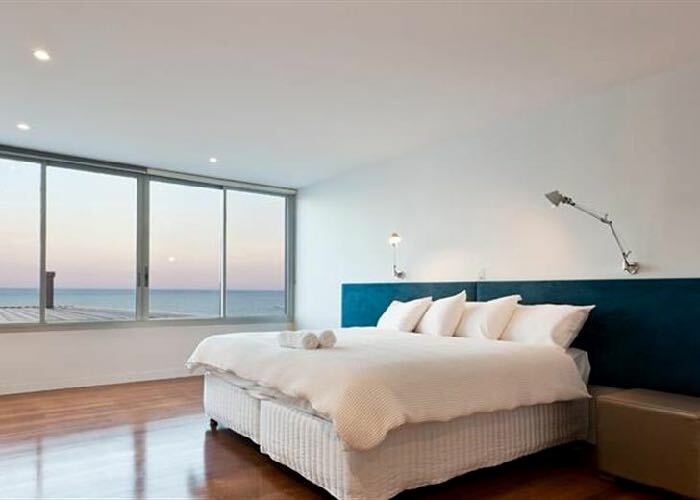 Managed by the Select Apartments, The Ocean Retreat has premium service and attention to detail. This multi-award winning property have luxurious furnishings, state of the art appliances, local Tasmanian touches (you must try the wine!) and breathtaking 180 degree views of the East Coast of Tasmania. Whether you choose to stay as a couple or a large group, you will enjoy the high quality facilities. The state of the art kitchen featured appliances from Liebherr, Miele and DeLonghi. The heated floor, spa and pool are a blessing in winter and everyone is bound to be entertained with three televisions, complimentary satellite TV, WiFi and local chocolates and wine on arrival. The Ocean Retreat is located at Falmouth on the East Coast of Tasmania. Whether you're driving from Launceston or Hobart airport it is approximately two and a half hour drive from each. The property is close to popular landmarks, for example it is 25 minute drive to St Helens, 45 minute drive to Wineglass Bay and one hour drive to Freycinet Peninsula. The Ocean Retreat is a 4 bedroom house suitable for up to 10 guests. Each bedroom features a king size bed (or twin on request) and roll-away beds can be arranged to cater for an additional 2 guests (fees apply). Unused bedrooms will not be accessible for smaller group bookings.